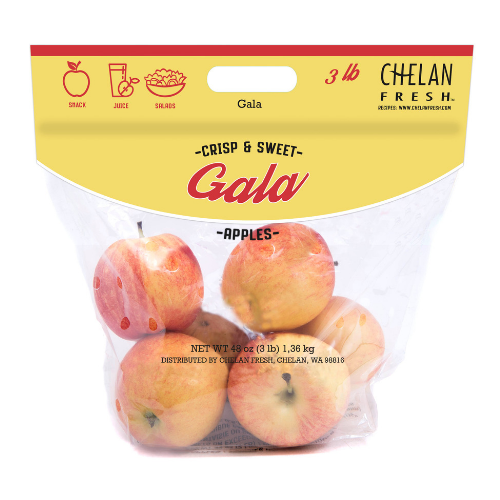 With their vibrant colors and sweet, juicy flavors, Chelan Fresh apples are loved and enjoyed worldwide. They provide a wide array of culinary uses, while still serving as the perfect grab-and-go snack. 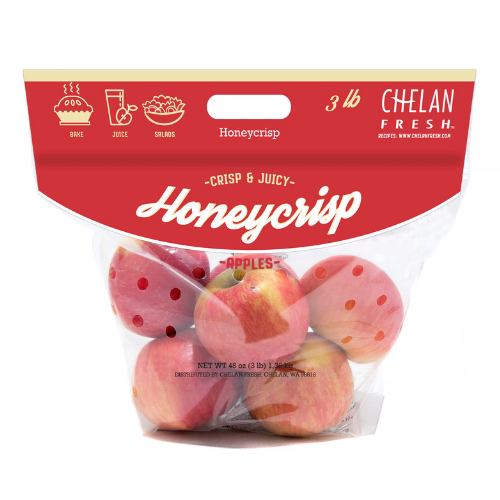 Chelan Fresh is now harvesting SugarBee® apples in the elevated orchards of Washington State. 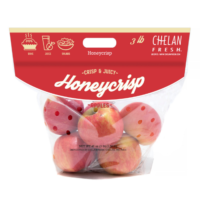 This new variety features half its parentage from the Honeycrisp. It’s juicy, aromatic creamy white flesh shears when bitten into, and the apple has just the right amount of sweetness. 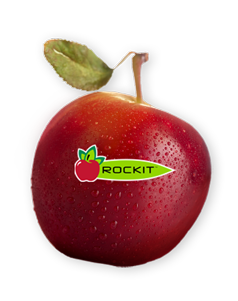 With a tempting red blush color, Rockit® apples are sweet, crunchy and grown to be naturally small. Rockits® are the perfect snack size when fully mature making them ideal for the small hands of children whose parents are looking to provide a healthy alternative to sugary or salty snack items. Rockits® are also for adults looking to find a healthy size snack that is full of flavor and only 60 calories. Crisp, sweet and juicy with complex aromatic honey flavors, slight acidity and slow to brown. 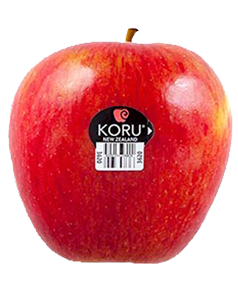 Taste KORU® raw, baked or cooked in your favorite recipes. 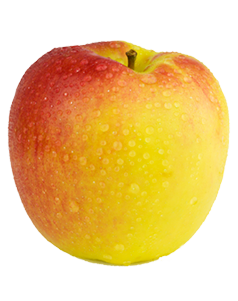 Ambrosia is an attractive medium-sized apple, with a pink-tinged orange/red flush over a yellow background. The flavor is pleasant and sweet with low acidity and a tender crispness. Ambrosia apples are available in the fall. 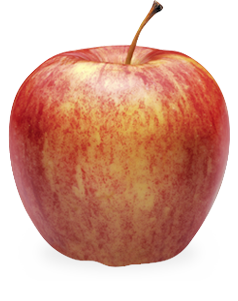 Braeburn apples are rich, sweet-tart, spicy apples with a skin color varying from orange to red over a yellow background. The aromatic, juicy, and crisp flesh along with its unique flavor makes the Braeburn apple ideal for baking apple pies. Braeburn apples are harvested starting late October. This apple is a Washington State original. 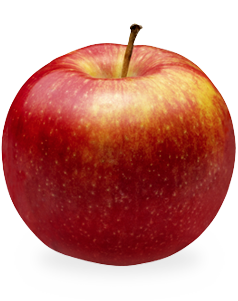 Characterized by its yellow and red stripes, the crisp, sweet-tart Cameo apple is as juicy as can be. Cameo apples are great choices for sandwiches, garnishes and fruit platters due to their resistance to browning. Cameo apples are harvested toward the beginning of October. 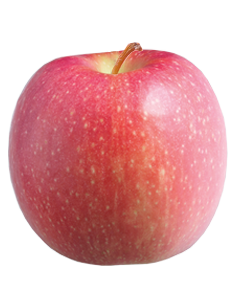 These intensely sweet and crunchy apples are deeply reddish-pink, typically striped with areas of yellow, large, and round. 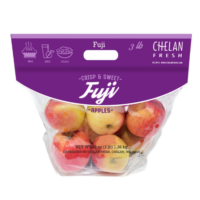 Fuji apples are known for holding their firmness when baked and for being delicious when eaten fresh. This variety’s popularity is quickly increasing, due to its notable sweet flavor. Fuji apples are harvested starting mid-September. Gala apples’ flavor is well balanced between sweet and tart, with elements of tropic fruit. Bold flavors, especially savory ones, pair best with Gala apples. Gala apples are harvested starting toward the end of August. 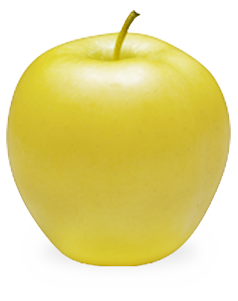 Golden Delicious apples have a golden yellow skin, sometimes with a pink blush. Mild and sweet, Goldens are great for eating out of hand, cooking, baking and salads. Golden´s crisp, pale yellow flesh is slow to oxidize, making it a good choice for salads and other dishes. Golden Delicious apples are harvested toward the beginning of September. 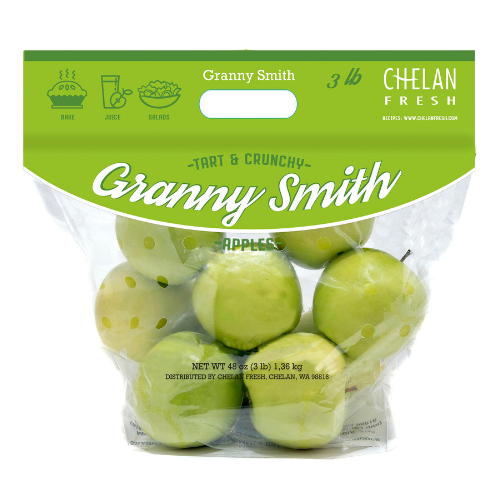 Granny Smith apples are well known for their unique and well-loved tart flavor. 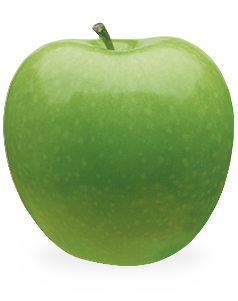 These apples are famous for their bright green coloring. 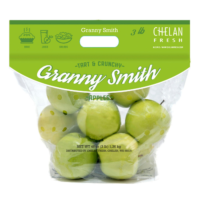 Many prefer using Granny Smith apples when baking due to their lower level of sweetness. Granny Smith apples are harvested late September. 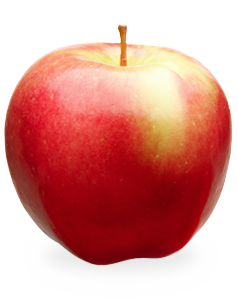 Honeycrisp apples have a bright red and pale green skin and a cream colored inner flesh. Their crisp and juicy inner flesh is sweet and slightly tart in flavor. Salads, baking, cooking, or snacking are all areas the Honeycrisp apple shines. Honeycrisp apples are harvested mid-September. 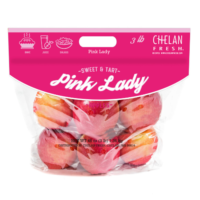 These tangy-sweet apples are beautifully golden with a pink blush, covering a creamy and crisp flesh. 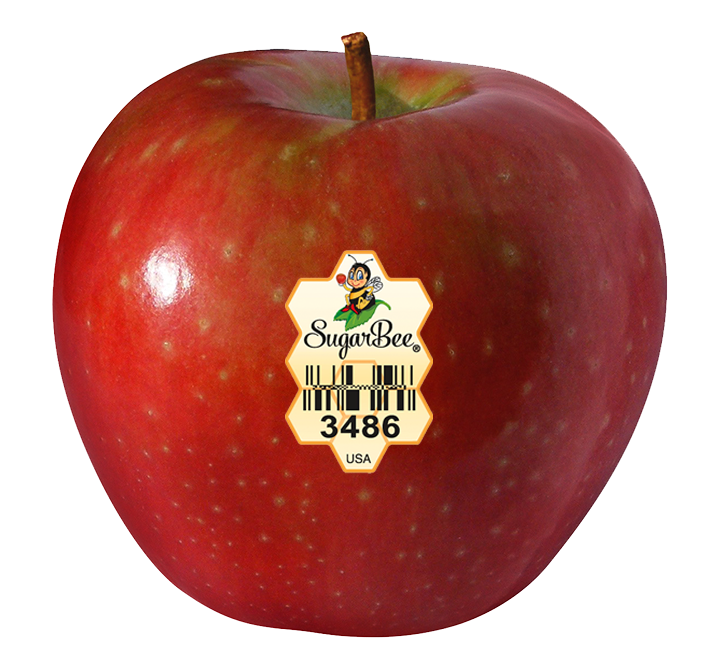 JonaGold apples are a blend of the Jonathan and Golden Delicious apple varieties. Their firmness and unique taste make JonaGold apples great for pies and cooking. Harvested mid-September. 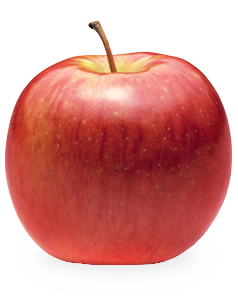 Pink Lady® apples are named after their pink-hued outer skin. Their slow-to-oxidize flesh makes Pink Lady® apples ideal for out-of-hand eating. With a crunchy texture, tart taste, and pleasantly sweet finish, Pink Lady® apples are perfect sliced in a salad or on a fruit and cheese platter. Pink Lady® apples are harvested starting in the end of October. 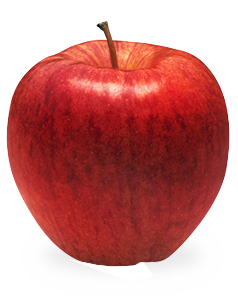 As the most popular apple in the country, the Red Delicious apple is what comes to mind when most people think of apples. 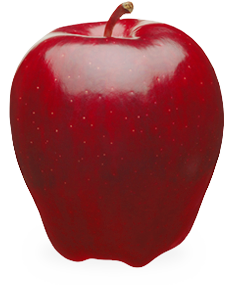 Red Delicious apples are bright red in color and have a mild sweet flavor. These are one of the best choices for caramel apples. Red Delicious apples are harvested late summer. Click here for apple recipe inspiration!